The company, based in Richmond, VA, operates or supplies stores in Arkansas, Connecticut, Delaware, Florida, Illinois, Indiana, Iowa, Kentucky, Louisiana, Maryland, Michigan, Missouri, Nebraska, New Jersey, North Carolina, Ohio, Oklahoma, Pennsylvania, South Carolina, Tennessee, Texas and Virginia and is the 6th largest convenience store chain in the country. Many of the company’s stores have hot, fresh food offerings. Our proprietary brand, RED’S, offers award winning, fresh-never-frozen, fried chicken with all the fixin’s, as well as serving a variety of “better for you” items made fresh on premise – wraps, salads, subs and more. In select locations we offer a fresh bakery program also made on premise. Some of our other proprietary brands include: Two Chicks, The Creamery, and Luigi’s Pizzas & Subs. In addition to our proprietary programs, many GPM stores also offer branded QSR programs, such as, Dairy Queen, Dunkin’, Godfather’s Pizza, Noble Roman’s Pizza, Subway and Taco Bell. When visiting many of our stores, you can also find our exclusive fas REWARDS® loyalty program, prepaid products, Western Union kiosks, RedBox movie rentals, thirst-quenching dispensed beverages, many exclusive, private label products (such as our fa$ SNACKS® line of candy), and other great offerings for customers to enjoy. GPM commenced operations in 2003 and, as of 2013, operated over 200 fas mart® and shore stop® locations in Connecticut, Delaware, Maryland, North Carolina, Pennsylvania, Tennessee and Virginia. GPM started on its growth path in August 2013 with the purchase of a 263-store convenience store group located in North Carolina, South Carolina, Tennessee and Virginia, which included the brand names of Scotchman®, Young’s, Li’l Cricket, Quick & Easy Everyday Shop & Café®, BreadBox and Cigarette City®. In early 2015, GPM began operating eight One Stop Stores in North and South Carolina which have been re-branded as Scotchman® and are also a part of GPM Southeast. 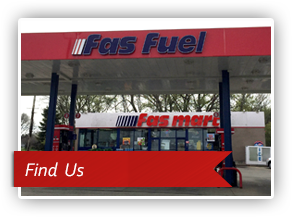 In 2015, GPM expanded into the Midwest after taking ownership of 42 Road Ranger convenience stores in Illinois, Iowa and Kentucky, now re-branded to fas mart®/fas fuel®, and one Subway location. Development into the Midwest continued when GPM took ownership of 161 convenience stores in Illinois, Indiana, Ohio and Michigan operating under the Village Pantry® and Next Door Store brand names. 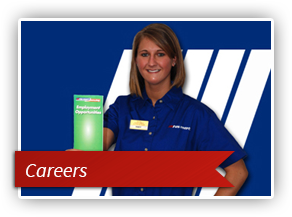 In February 2016, GPM began operating 15 convenience stores in Southern Illinois, Iowa and Nebraska which it acquired from Gas-Mart USA, Inc. These stores are now rebranded to fas mart®. In March 2016, GPM began operating 42 Apple Market convenience stores and supplying 20 dealer-operated stores in Virginia and Kentucky which it acquired from Fuel USA. In October 2016, GPM began operating 17 Jiffi Stop® convenience stores with gasoline sales and one stand-alone car wash location in Illinois and Missouri. In November 2016, GPM acquired Admiral Petroleum Company which operated 137 convenience stores and 33 discount tobacco shops in Michigan and Indiana. In 2017, GPM acquired Mountain Empire Oil Company which operates 92 convenience stores in North Carolina, South Carolina, Tennessee and Virginia branded as Roadrunner Markets and Broyles Hospitality, LLC which is an independent operator of 7 Dunkin’ Donuts stores in Tennessee and Virginia under a franchise granted by Dunkin’ Donuts Franchising LLC. The Dunkin’ Donuts brand is a new addition to GPM’s portfolio of existing franchise locations. Also in 2017, GPM acquired 7 Jiffy Stop Food Marts convenience stores in Missouri. In 2018, GPM has acquired 11 1-Stop stores in Michigan, 273 E-Z Mart convenience stores in Texas, Oklahoma, Louisiana and Arkansas, and 5 Crenco Food Stores in South Carolina which are being re-branded to Scotchman®. This year, GPM has acquired 18 convenience stores, 10 of which have Subway® restaurants, in Florida from Town Star Holdings, LLC. This store acquisition marks GPM’s entry into the Florida market, a path upon which GPM plans to continue to expand as part of its growth strategy in the Southeast portion of the country. With these acquisitions, GPM has widened its reach to approximately 1,400 convenience stores which it operates or to which it supplies fuel in 22 states.